The SCCPA is working to establish an ongoing relationship with a variety of agencies to better address the overall needs of families served by or referred to the Voucher Project. While these efforts certainly focus on child care and /or child development services, it is our intent to broaden the scope of our programs to other areas of need within this community. A few small projects are beginning to take shape. The list below represents some of the ideas and their status thus far. Provide for a period of critical medical need. A period of one month of financial assistance for child care with the possibility of up to three months maximum assistance; need will be the priority with gross income a determinate only with regard to a percentage of the full cost of care. The parent must choose a licensed center or FDCH or a previously Trustline licensed exempt individual. A family member not required to be Trustline will be considered only on a case by case basis. The need should be due to critical or terminal illness of a spouse or child in which care is needed to allow the parent's full attention to the immediate medical needs. Care should be limited to no more than 17 hours per day- restricting any hours between 11:00 P.M. and 6:00 A.M. while the child and provider are asleep. The percentage of cost should be based on the family fee schedule as established by CDE up to 100% of the State Media Income. Provide for respite, a period of up to one month of financial assistance for child care based on the recommendation of a referring agency or license professional; the possibility of a second month will be considered on a case by case basis. Income and need follow the guidelines used by CDE and the parent or legal representative must be willing to provide any required documentation. Care should be limited to no more than 10 hours per day during daytime hours Monday-Friday in order to allow the parent to attend to required matters, appointments, to allow a break in the routine which has caused the undue stress. The parent must choose a licensed Center, FDCH, or Trustlined individual. Care provided by a family member will not be authorized. Provide Drop in Crisis Support. Drop in Crisis support would consist of on going financial support for drop in child care as identified by community referrals that are a critical part of support to children and/or parents involved in and or struggling through an abusive and/or emotional situation. Care needs should be limited to no more than 20 hours total per month for any child or group of children receiving supportive services through community based referral agencies. Provide financial assistance to grandparents wishing to attend a " grandparents support group" provided by the Family Services Agency of the Central Coast. 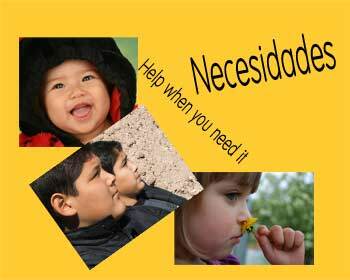 Full or partial stipends for sessions and/ or child care required to attend. A flyer has been sent to five current VP participants and one community referral has been received from Family Services.